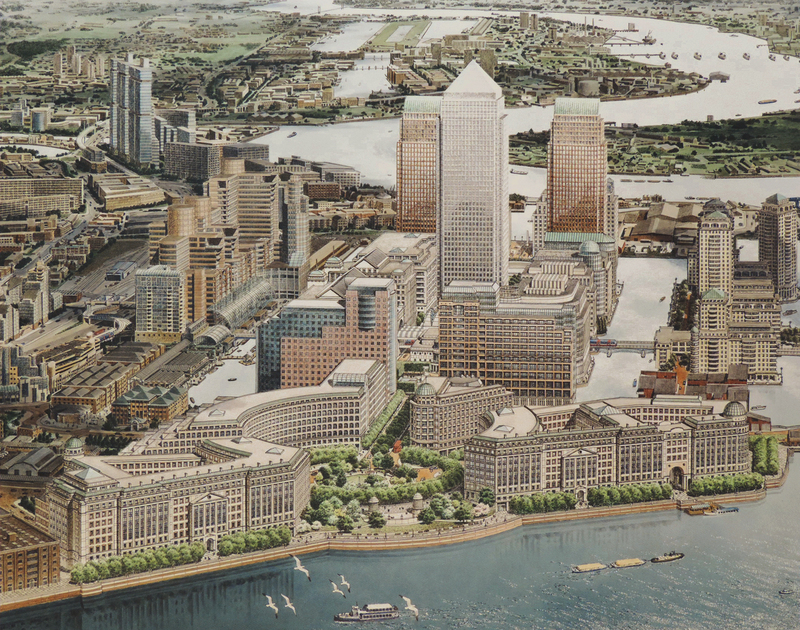 TBT: Here is an amazing aerial view of the Canary Wharf project in East London that I drew and painted while working in my step-dad’s studio, Carlos Diniz Associates. This was pre-computer rendering – all done by hand. The original is acrylic paint on a photo-mural panel, a technique developed by Carlos and used exclusively in his studio. We are delighted to announce that Carlos’ archives have been accepted by the University of California Santa Barbara’s Art, Design & Architecture Museum for inclusion in their permanent collection. We will be posting more gems as we sort through the archive. You can read more about Carlos and his studio here. For more information about our studio, contact us.